I’m the person that has to change the channel when the ASPCA commercials come on. You know the ones– heartbreaking photos of downcast animals pass across the screen as you find yourself being serenaded by a sad Faith Hill song. The few times I’m managed to get through these ads, I’ve found myself with wet cheeks and a sniffly nose. The humane treatment of animals, as well as shelter-adoption are two issues I feel particularly strong about. Both of my own dogs came from the local shelter, and for the past few years I’ve been volunteering at an animal shelter near my school. I came across an article today regarding the impact social media is having on pet adoption. In particular, two Nevada animal shelters have taken to the web in an effort to give their animals a voice (of sorts). Perhaps Duke’s most unique use of social media is features heartbreaking and adorable messages from the ‘pets’ themselves. Duke’s creative use of first-person(/animal?) messaging stems from his firm belief that “The last thing anyone wants from an animal charity is to hear a person.” Adopting a pet is a very personal experience. Everything is dependent upon the relationship you forge with your potential new pet. This Nevada shelter is eliminating the middle man, or just the man/woman in general. Duke’s plans seem to be working, with a 5% increase in pet adoption seen over the past year, as well as a dramatic increase in twitter followers and Facebook friends. 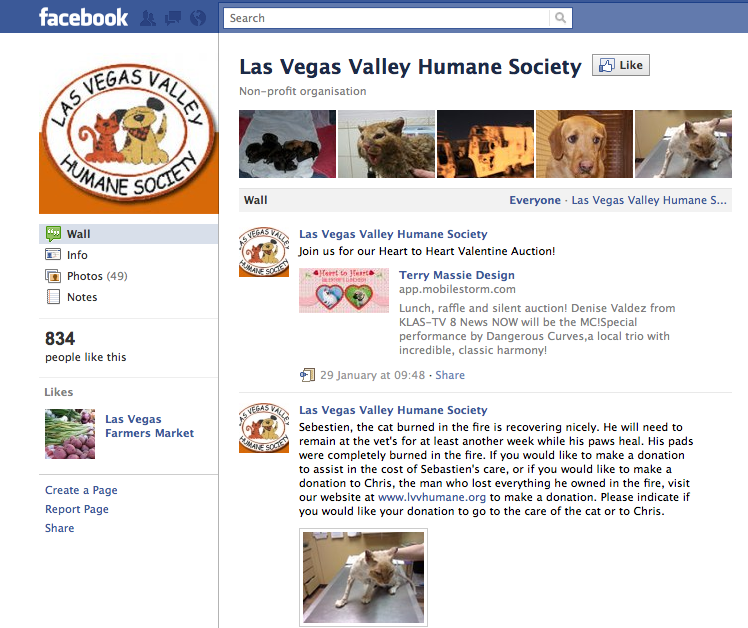 Another Nevada shelter has also engaged in social media for their adoption campaign. The Animal Foundation at Lied Animal Shelter has focused on educating people as well as contributing to adoption rates. Once a week, their Facebook page features “Furry Friday”– posting the pet of the week. 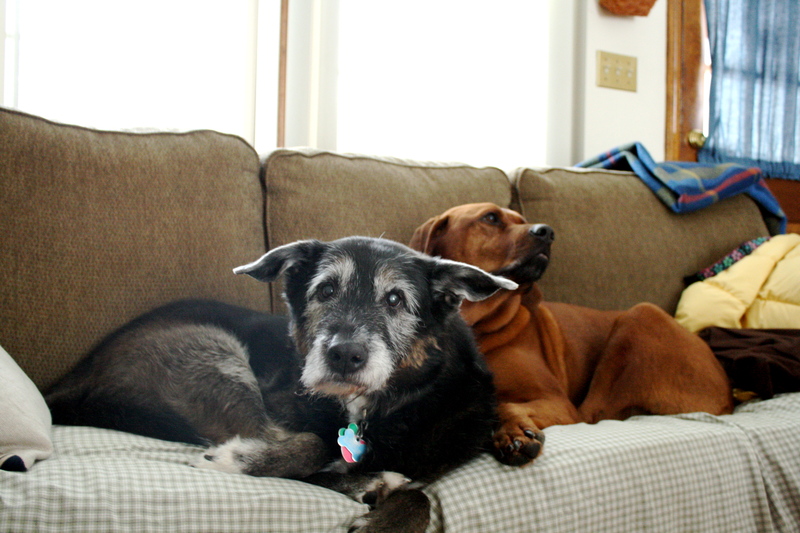 The organization reports that on average, by the end of the day, that animal has found a home. The Animal Foundation has also taken to creating profiles for their pets, including Maximus the cat, who needed money for surgery. Through Facebook, the Foundation was able to raise the funds necessary. As a sign off for this post, I just want to remind everyone to please think adoption first when looking for a new pet. 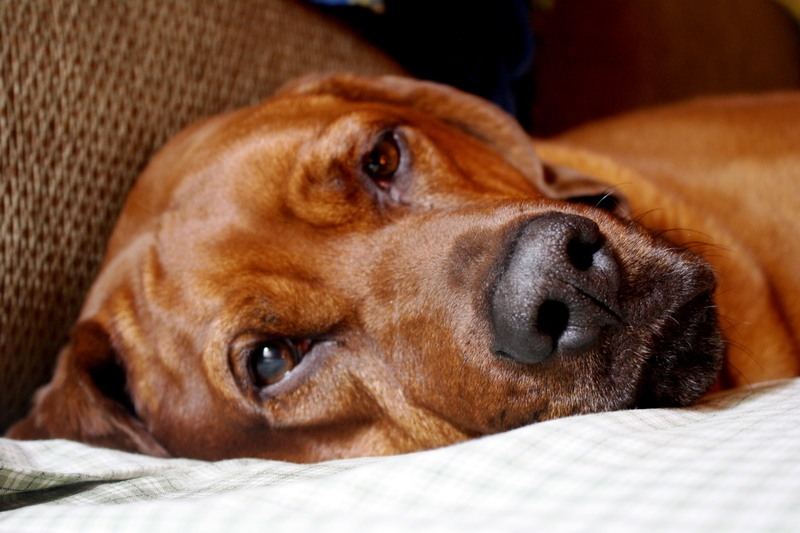 You could be saving the life of your new best friend. Tomorrow I head back to school and another semester of work begins. Due to my increased scholastic activities, it may prove difficult for me to update this blog as frequently as I have been doing over this snowy winter break. Then again, my procrastination skills are quite excellent, and I might very possibly turn to this blog as another way to avoid a dreaded assignment (oh, fear not– I always get the work done. And done well. Usually the procrastination comes very early on in the process. I’m actually a geek who likes to get things done both timely and well). Now that I have issued this warning, I want to take a brief moment to share some more “personal” things with you. Mainly, my dogs. 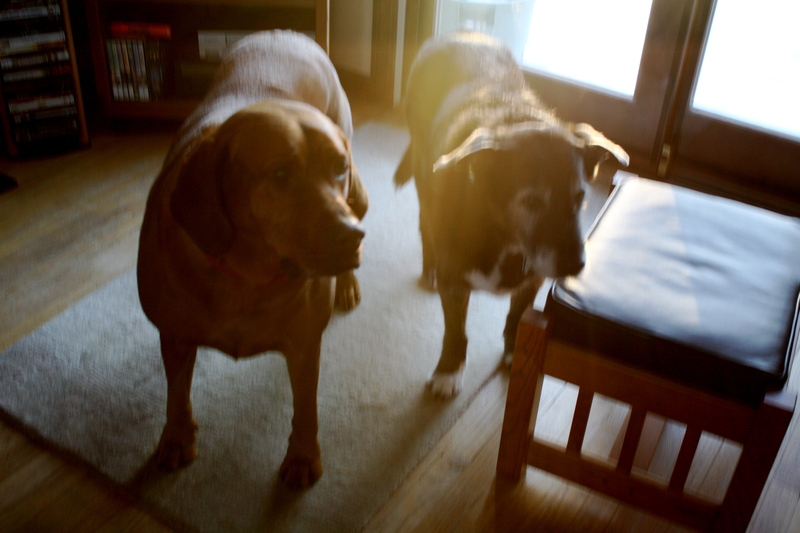 You see, this morning we had a minor medical scare with my older dog (Lucky, the younger one is Nola). He’s pretty up there in years, which means that every minor abnormal behavior can sometimes give us a scare. 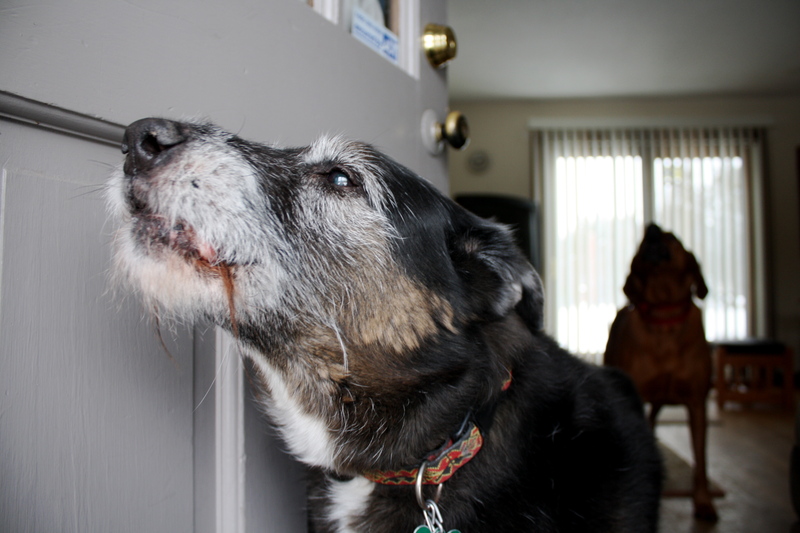 His being older also means that this dog has been around the majority of my life– he grew up with me and he’s just as special as a human family member. Long story short, everything turned out okay. 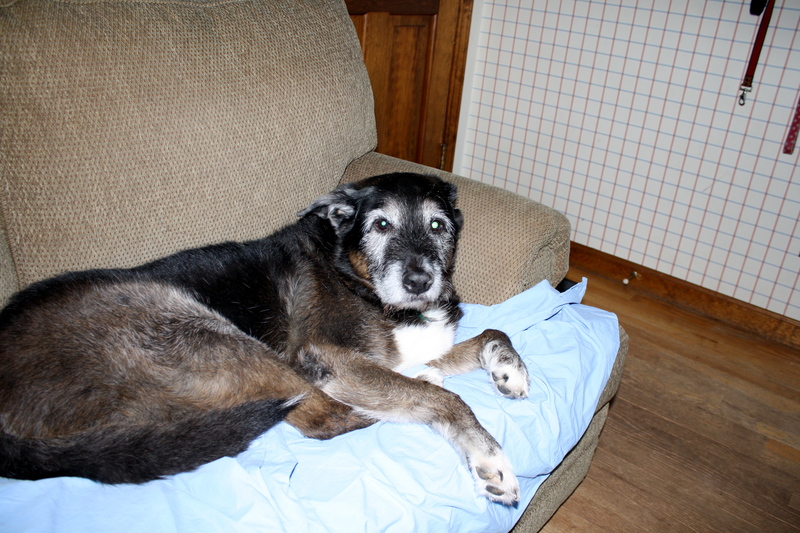 One emergency pet hospital visit, an x-ray, and some medication later, Lucky is the same old dog. Concurrent with these happenings, I’ve recently acquired a new camera. A digital SLR (Canon, of course) that was a combined Christmas (late) and Birthday (very early) present. It has quickly become my favorite new possession, but due to so many snowbound days, my photographic subject matter has been limited. Luckily, I happen to live with two adorable dogs who somehow had the patience to sit through picture after picture with a camera in their faces. I’ve just uploaded the photos and I feel like I have to share(*Note: still learning to use the camera so don’t be too judgmental about the quality of my pictures). So, in honor of Lucky feeling better and my new camera– Enjoy! This is Nola. Her puppy-dog eyes means she gets pretty much whatever she wants, including a couch all to herself. In this picture I just imagine her saying, "Go ahead, try to say 'no' to me." This is Lucky. He gave up caring long ago about what you might think of his grey (white) hair. He's an old man, but I still call him my puppy. They pretty much think they own the house (and all the furniture within it). She is disgustingly photogenic. And adorable. 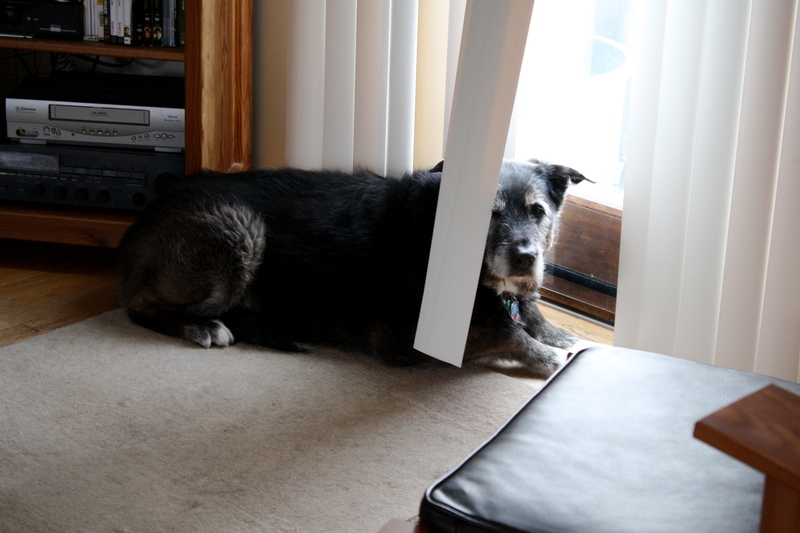 He loves staring out the back patio door, but someone forgot to open the sliders. He doesn't let that bother him. 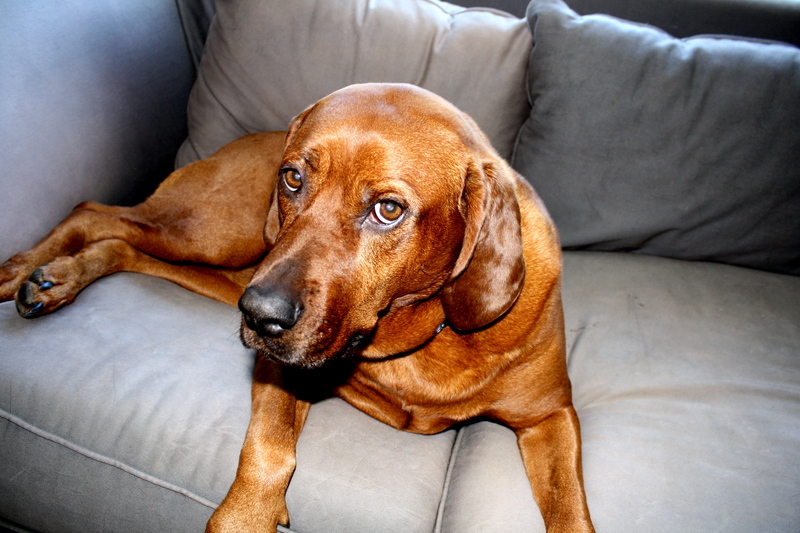 Nola is a hound dog of indeterminate breed. Needless to say, she howl. Lucky never used to howl, but when we got Nola a couple of years ago, he picked up on it. Now they howl in unison. Dogs are incredible. Their unconditional love is a precious gift. These two are the best.